Everyone has been asking me where I got my Hunger Games shirt, and unfortunately CafePress isn’t selling it anymore. 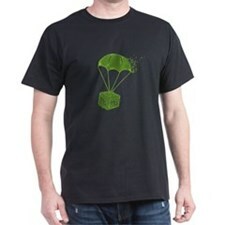 The good news is that the new CafePress Hunger Games merchandise has finally arrived! I can’t post them all because there hundreds of new shirts as of today, including short sleeve, long sleeve, polos, and maternity. But I’ll post some of my favorites. You can see all of the rest on the CafePress Hunger Games site. I have also found some really cute Hunger Games shirts on Spreadshirt. You have to search around a bit on their site using terms like “Peeta” and “Hunger Games,” but you should be able to find most of them. Most of them can be personalized a little bit too–like printed on different colors of shirts. A few of the other shirts on there include “Are You Game?”, “Cake Decorating Saves Lives,” “May the odds be ever in your favor,” and “District 13.” Visit Spreadshirt to see them all.